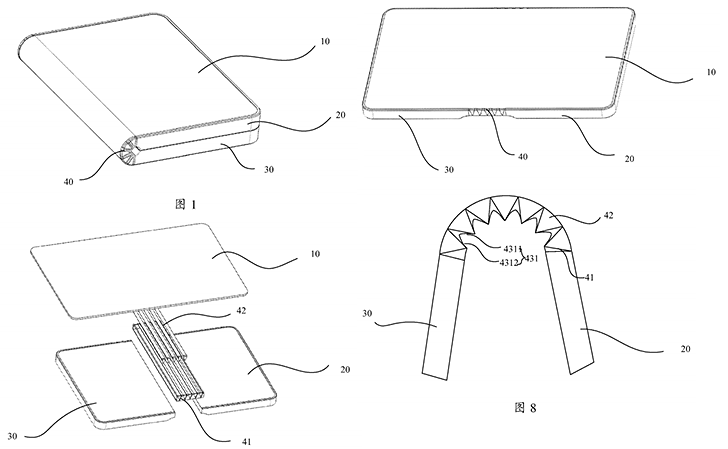 It's not the first time we've heard about Huawei working on a foldable smartphone and the first indicator came two months ago when company patented a device with flexible display. Now, a Korean news outlet claims that Huawei is working closely with Chinese display maker BOE to bring the first commercially available foldable handset in November. The device is said to feature an 8-inch flexible display and rival the Galaxy Note 9 later this year. BOE is reportedly working on four different smartphone designs with two companies. Samsung could be one of those clients, but since the Korean company would probably do its own flexible panels, it's more likely that either Xiaomi or Oppo is the other. The latter has already filed a patent for its own version of a flexible handset. Other potential partners of BOE are Lenovo and ZTE as they have enperimented with flexible devices in the past.